Magnificent architecture in Faro: Moorish, Roman & Gothic throughout the city. When you make a big and unexpected decision in your life, people are curious about why you went in a particular direction; it’s a reasonable curiosity. I’ve spent a bit of time on why I moved to Portugal in previous blogs; however, I thought since I am frequently asked this question, I would answer it thoroughly. One of the most important things I learned throughout my career is to question “why” before you do anything. You want to start a business? Why? You want to get married? Why? You want to move overseas? Why? Asking this important question and answering it thoroughly and honestly, will help to insure that you are doing whatever you are doing for the right reasons — well most of the time. So when I started to feel that U.S. politics were the cause of a good deal of my anxiety, I asked myself why I was wallowing in pity rather than working to change my situation. I had done some letter writing and personal campaigning for Hilary and then of course, I blamed myself for not doing enough. After a lot of soul-searching, it occurred to me that it wasn’t just that Hilary lost the election, it is the direction politics in general is going in, in the States. I’m not going to do a deep dive into politics; however, the big issues for me are gun control, healthcare, taxation, greed in Washington, and the negative perception Americans have of democratic socialism, www.dsausa.org/what_is_democratic_socialism. The conclusion that I came to was that I had to move to a country where the values of the government and the people more closely matched my own. In other words, why stay in a country where values will not be changing anytime soon. Why am I leaning in this direction? Why is my heart telling me to do this? Why am I struggling with this decision? Why am I questioning the status quo? Politics in the U.S. has become more conservative over the past few years. Some say it happens whenever you have a power base in office that leans in a particular direction (surprise, I lean left), the majority will tend to swing in the opposite direction the next election — that certainly is what happened in November 2016. This is likely to occur in any democratic society; however, in many European countries liberal policies and attitudes have a strong foundation, therefore, the bar is set higher. The other reason I decided to move overseas is that I have never resided outside of the United States. I tend to agree with those who believe that life is not a dress rehearsal; this was an opportunity I may not have had again. I have considered many other countries over the past few years. At one point I was certain I’d end up in Concon, Chile. I had been there a couple of times and fell in love with the coast and the lifestyle. Well then they had a big earthquake and read that there would be others. Sure enough, a short time later they were hit with a second large earthquake. I thought I had tempted fate far too many times to buy a condo in a high-rise there. I’ve thought about Italy because it is my father’s birthplace. I love visiting Italy; however, the instability of Italy’s government and economy concerns me. The Caribbean is too humid and has those pesky, life-threatening hurricanes; Norway, Sweden, and Denmark make it very difficult to reside there; and frankly other places were too expensive or too risky. I had read a good deal about Portugal and decided to check it out. I’ve been told that it is dangerous to decide on relocating to a place having only visited once. Knowing that some advice is sound advice, I decided to do my homework. I read articles about retiring in Portugal, I joined a couple of expat groups on Facebook, I had several conversations with individuals who have made the move, and I returned to spend more time here. Most expats who decide to live in the Algarve DO NOT choose Faro. 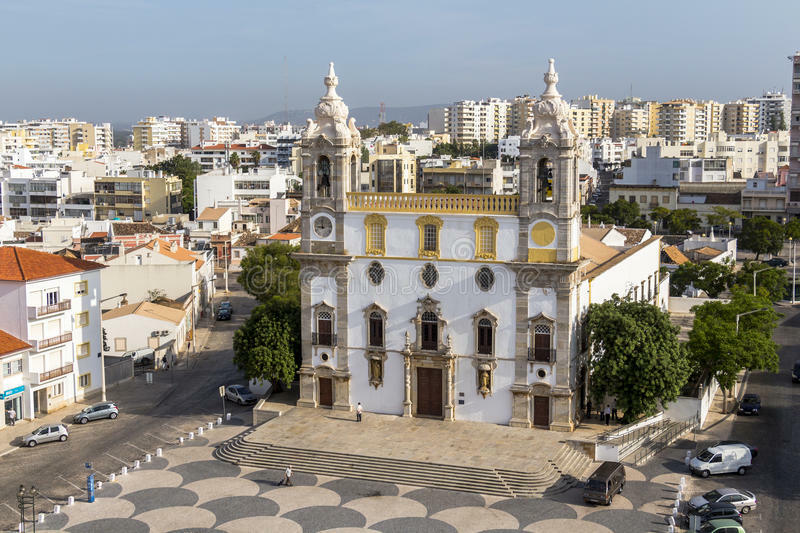 I discovered on several trips prior to moving to Faro that there are expat communities in many towns all along the coast; however, most people see Faro as a place to land or switch trains. I do not mean this in a disparaging way, so I hope no one takes it that way: I did not want to be in the center of a tourist destination. Don’t get me wrong, tourists visit Faro; however, compared to other towns in the Algarve, Faro is not overrun. In fact, there are very few Americans in Faro. Culture — music (Fado), theatre, festivals, food, ceramic tiles, history and art. Faro is not as much a tourist city as say Lisbon, Porto or other parts of the Algarve. I’m happy about that. Restaurants — I can find traditional Portuguese, Japanese, Chinese, Italian, Turkish, Indian and several other ethnic foods and the quality and value is outstanding. The Market (Mercado Municipal) — in a huge open space (indoor) close to my apartment, it is probably the gift I will never take for granted. Walking city — I can walk to just about every place I need to go. Access to everywhere else — Faro is the capital of the Algarve; therefore, the airport, trains, buses, and highways, can get you just about everywhere and quickly. Architecture — Preserved, historic, eclectic, and beautiful. Everything is understated. Government offices — all of the Portuguese government offices I need to deal with are here in Faro. What more can I ask of a city? I took these photos when I was walking to the ferry yesterday — beside Faro Castle. This is Old Town, Faro and it dates back centuries. It’s a 15 minute walk from my apartment. I come here often to read, walk and eat. Some of the remains are from the 9th century. And by the way . . . that blue sky is real (no touching up or color added). There is no smog to speak of here. There are several islands off the coast of Faro that offer spectacular beaches. Farol Island’s lighthouse is just a ferry ride through the Ria Formosa. A 5 Euro round trip ferry ride is a great way to go to the beach. For the first time in my life, I am not thinking about what’s next. I’m going to enjoy the here and now and see where it takes me. Às vezes não consigo deixar de pensar se escolhi Portugal ou Portugal me escolheu. Translation: Sometimes I can’t help wondering if I chose Portugal or Portugal chose me. Interesting blog, with which I found myself in almost total agreement. Good work! Keep writing. And thanks! You are so brave, Chris, even though I also sense some of this wasn’t really a choice for you (meaning you had to take some action.) I’m not sure I could do it, although spiritual life in the USA really pretty grim right about now. Good reasons why. So glad you took the leap; life should be an adventure and full….you’re doing a good job. I truly enjoyed reading this. Your writing is informative and soul baring. Something I find hard to do but you managed to say it with flair. Quite a decision you made and it sounds and looks as if all is going well. I look forward to meeting you. Thank you Linda. A life examined is worth living. Fantastic information and details. I will be visiting Algarve later this year. Thank you for sharing! I consider moving to sunny Portugal from rainy Ireland and I feel lucky that I found your blog and to learn from your experience. Thanks!